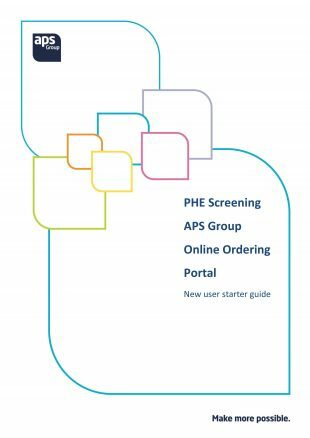 As we’ve mentioned in previous blogs, our new national supplier, APS Group, is taking over the printing, storage and distribution of NHS screening programme leaflets from the start of April. Local screening providers can start ordering from APS now via its online ordering portal. Check out the user guide for details of how to use the site, including logging in for the first time, setting up your profile and placing an order. As with our previous supplier, you will be able to set up standing orders for regular leaflet deliveries with APS. This takes away the worry of having to remember to place separate orders every few months. To request a standing order application form, contact APS via its online ordering portal, by email or by calling 0161 4954962. During the next 2 weeks we will move our stock of leaflets to APS, which will then start fulfilling orders and distributing leaflets to local services from Tuesday, 3 April, onwards. We are reducing national spending on printing in line with the government’s digital by default strategy. Some resources that local providers used to be able to order for free, including promotional posters, are now only available online for you to download and print off locally if you wish to do so. Translations, easy guides and leaflets required in very small quantities are also only available for download and local printing. 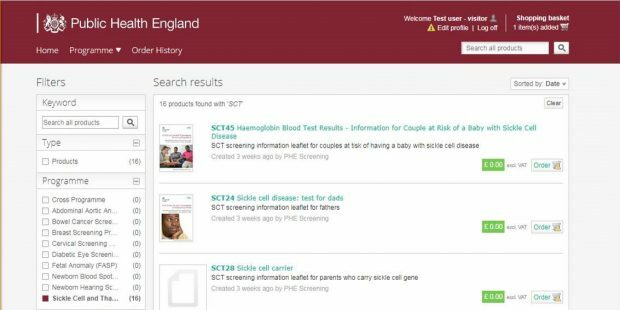 Details of all the leaflets that can be ordered for free are included in the Population screening programmes: leaflets and how to order them document collection on GOV.UK. We do not provide free leaflets for promotional purposes and campaigns, or for other organisations, but it will be possible to pay for them by contacting the national print provider. If you have any questions about the transition to a new national screening print provider, please email the PHE Screening helpdesk.